Our latest session in The Secret World happened just after the patch 1.11 was deployed. The Enhanced Player Experience is the big-ticket news item for this update, the kind of marketing-speak label that has players of early MMORPGs twitching in a dark corner since revamps of game systems and content can radically change the feel of the gameplay. * Reduced the health of all outdoor solo monsters outside of the Kaidan area. * Increased the maximum number of targets AoE abilities can affect to 6. * Reduced the effectiveness of most AoE abilities (damage, healing, leeching) from a 33% reduction relative to single target abilities to a 50% reduction relative to single target abilities. We also found Besieged Farmlands (first zone in new area) pretty easy which either means our gear is above the difficulty curve or the nerf has made it easier than we would have otherwise found it pre-patch. Other changes include a revolution in fast travel. Now we can click on Anima wells on a map to ‘anima-leap’ to them. As a player of Guild Wars 2, FFXIV or similar more modern MMOs this is perfectly normal. As our dps player noted though it does take exploration out of the gameplay as you don’t accidentally find things as you try to take a shortcut across land between objectives. Notably the map also shows all the side-missions before you have discovered them, another ‘nerf’ to exploration. You can switch this off using the map filters. The Besieged Farmlands zone seems crammed with content and it’s a big zone. So far I’ve been pleasantly surprised by elements that are layered on by the story-writers onto what could have been a poor copy of Dracula. The stories we’ve peeked into so far in the zone are as excellent as any before. We recently played the final investigation mission back in Egypt (The Binding), which by the way is superlative, with the heavy lore and (possible) plot inspiration from ancient Egyptian history. It was an epic mission indeed, it really embodies the idea of a’quest’ in how many stages and how much thinking is required. Seeing what the devs have done to elaborate on history to create this immersive and detailed gameplay I have to commend their efforts. I think the fact the game is so anchored in our own world just makes it that much easier to feel immersed in the game and to relate to the storylines. This entry was posted in MMORPG, TSW. Bookmark the permalink. On the problems your healer has and the reduction of AoE damage: i also disliked the change snd still think they were a bad move. But the activity you describe should not be affected that badly by the change. The ones who really suffer from these changes are tanks who only lately started doing nightmare dungeons. They need the defensively oriented abilities, which mostly are AoE abilities. Veteran players compensate with superior gear, everything before nightmare difficulty and Tokyo was nerfed more than the abilities were. By now i took the time to look at the earlier zones. They really feel significally easier than formerly and the AoE nerf is not cutting into it that badly. – why do you have a “tank” and “healer” for content outside of dungeons? – do you strictly distribute gear along those lines? Even before the rebalance, there was no actual need for a tank and only limited need for a healer in the normal open world zones. (Lairs and NM areas were a different subject, but they were not on your regular diet yet, anyway. ) So for your healer my advise would be to run a more offensive setup. Use just two or three (but when three, make sure at least one is a minor) heal rating talismans and fill up with attack rating. Green gear needs no tankish talismans, ever. On your bar, you keep one heal builder and one consumer. The rest of the bar can be filled up with attacks and other tools. As long as nobody runs into problems, you can work as regular damage dealer with just a little bit less damage output. (Although, not really. When people go solo, they quite often use one or two heal rating talismans, even if they don’t have a healing weapon equipped but only have stuff like lick your wounds, immortal spirit or leeching frenzy within their passives. ) When things go wrong, you switch to “pumping health” mode and makes sure the group pulls through. I’m the “healer” of the group – and outside of dungeons (which we rarely do anyway), I’m pretty much as you suggest – Ele / Blood with one heal builder and one consumer – though as I’ve taken attack rating gear (and putting aside healing ones in case we end up doing a dungeon) those barely do any healing these days. Here’s my Chronicle, in case you see anything particularly wrong (I change Blaze to the AoE fire one, when AoE is needed – though that’s a bit slow compared to There Will Be Blood). I’m thinking of scrapping those two heals for something else if I can find better. As you suggest, I’m planning to span out into the other weapons now and play around with those more. – Generally i find blood the most “inconvenient” of all healing. But tastes differ. – Open vein: generally i would use an AoE consumer instead. Though, with criticality slotted, this one can also be worth it. – Expulsion: why? Found nothing useful? I really dislike that one. – The shields are allright, but i would consider using angel’s touch with it. – Mind over matter is an unreliable affliction. And your setup relies on affliction a lot. (Blaze, Aidolon, Criticality, Toxic Affinity) You might want to use something more reliable instead. You really want to include Bloodsport (from fists) into your setup. – With that you don’t really want Toxic Affinity any more. – Elemental precision and thicker than water do the same, but for different weapons. If your penetration rating is halfway acceptable, replace it with Twist the Knife from Blades. It gives you the same for only one slot. – If you are already in blades, you can put Fluid Defence for the elite passive. Again the damage boost, along with somd defense, Quite useful, although in your setup Cool, Calm & Collected from Hammers might even be more useful. – If you find the space after having bloodsport and dark potency or iron maiden in your setup, you might want to bring 12 gouge from shotgun. Debilitation is strong, and with your combination of open vein and criticality it should build up on groups well enough if your penetration rating is boosted a bit. Thanks for taking the time to reply Sylow 🙂 I’ll definitely take a look at those abilities you mentioned – some sound major improvements! + I’m not too sure either – it’s mainly as I came from Disc healing in wow. When I’m full heal in TSW, I’m Blood/Fist which is a nice mix. I’m Ele/Blood rather than Ele/Fist though to stay as ranged and to use Open Vien and There Will Be Blood. I might try Fists with Ele again though – or something completely different for DPS. + I love Open Vien. I use that for building on multi-target fights and Ignite for single. + It’s the only heal I found that scales on AP rather than HR. As all my questing talismans have no HR on them, all the other heals are rubbish. Are there any other AP scaled heals? I’d love one that could heal others based on that. + I have thatin my heal build, but as these heals don’t touch the sides and more, I got rid of it for DPS stuff. + That does look loads better. I’m generally playing with 2 others though that are also putting afflications on (Telwyn uses Blood Sport) so most of my stuff triggers anyway – but better to have guaranteed myself – especially when doing solo instances. + Is the increased crit not worth it? Better to have something else in there than just use it for that I guess. + What do you count as “Good”? I’ve been going for crit and hit so I don’t think I have much pen. – My personal favourite for solo-healing is the assault rifle. You can deal damage and heal yourself at the same time. But it requires some finetuning of your gear to work really well. Next to that, i found that fist always is a good companion for me. The reason why it performs better for me: the rotation is “easier”. With blood, you should heal early and regularily for best effect. If you fight till you are at 50% health and then start “pumping” heals, you overwrite the shield again and again, just to reapply the healing effect. Seen by themselves, without the shield aspect, blood healing is comparatively weak. Only if you make good use of the damage absorption, blood really shines. Fist on the contrary can well be used by just fighting till you are at 40% health, then doing a fist rotation and continue killing while the HoTs still run for a while. But as said, that’s personal taste, i know of some people who do perfectly well by “waving” blood healing into their rotation, i guess i am just not good enough or never cared enough for blood healing to learn that. As said, in your setup (and also what i suggested) it can indeed be quite useful. You have a guaranteed crit at every kill you make. You might also like to take a look at Elemental Force instead, that one is a guaranteed crit every 8th attack you do, so it’ll probably trigger even more often. Next to that, the increased crit would not be bad, wouldn’t it block your passive elite slot. And for a passive elite, there are just better options, like the mentioned Fluid Defence or Cool, Calm & Collected. For offense, hit and penetration are the bigger focus, but before endgame dungeons, the game is not that “strict” on it. Generally speaking, people only care for crit rating when going for blood or fist healing. (Assault rifle healing wants all hit and penetration. ) Those two methods of healing don’t profit of hit or penetration, but do from the two crit stats. The small difference, most fist healing setups run the elite passive which triggers for additional healing whenever the target is critically healed, so fist setups often put high focus on the chance to critically hit, while blood is more balanced or even leans a bit to crit power. But that’s all high end stuff, the rule of thump in open play i would say is: if hit and penetration together are over 50% of your glyphed stats you should be quite fine. For finetuning just check your combat log, if your targets evade (too low hit) or block (too low penetration) a lot, you should work on those stats, if those rations are allright, more penetration still is not a bad idea, you have to have really a lot of penetration to have so high diminuishing returns that the two crit-related stats can start catching up. Sorry for not being able to provide any numbers, but i think some rough guidelines help more here than exact numbers. Bah. Ugly. Wish there was a preview button before posting. But i hope it’s still understandable. I’ve just slotted Bloodsport and am about to go through the other ones you suggested (you’re right about a different elite passive probably being better). I might have to build up a few points to buy some though. I’ll also slot a couple of heal rating talismans and keep an eye on my pen (and see if things are blocking). Sylow touches on this mechanic obliquely, but I feel it needs a bit more explanation. — it’s the Penetration vs Crit stats. In TSW, Penetration is generally the go-to offense stat, much more so than crit. The reason is that penetration stat reduces/removes the enemy chance to block your standard hits (which gives IIRC a 40% reduction to your damage) and then also a pentrating hit does “max damage without regard for mitigation” which generally means that a Pen hit will do about 120% damage. Critical, on the other hand, doesn’t do anything for your regular hits at all, and on a crit hit does +50% damage unless you have also used up some of your stat budget for Crit Power and also possibly some passive slots like Brawler that increase your crit damage. As a result, especially in the early game, penetration gives you far more “bang for the buck” for your stat budget, so most people focus on the penetration stat, with some hit thrown in as an afterthought to help reduce glances. There are some exceptions — as Sylow pointed out, with the Elemental Force passive guaranteeing a 12.5% crit rate and you know exactly which hit will be the crit (there are even add-ons that keep track of the buffs and splash it all over the screen when it’s ready), one can put crit power on the consumer weapon that will be used in order to get the bonus damage there. Several dps builds take advantage of this by stacking passives that will massively boost that hit (closer, seal the deal, brawler, etc), but even then they usually stack penetration in order to increase the odds of a “Crit-Pen” which does something like 4x as much damage, so as Sylow said, they’re putting Hit and Pen in their talismans, crit rate on their builder weapon, and crit power on their consumer. FWIW, in the endgame, when you have a bigger stat budget, there are crit-based builds that do very well also, but for where you are, Penetration is going to be the “more efiicient” way to go. Based on my own experiments, I do find the game significantly easier since the patch, but it’s not quite the “to the ground” nerf some have made it out to be. 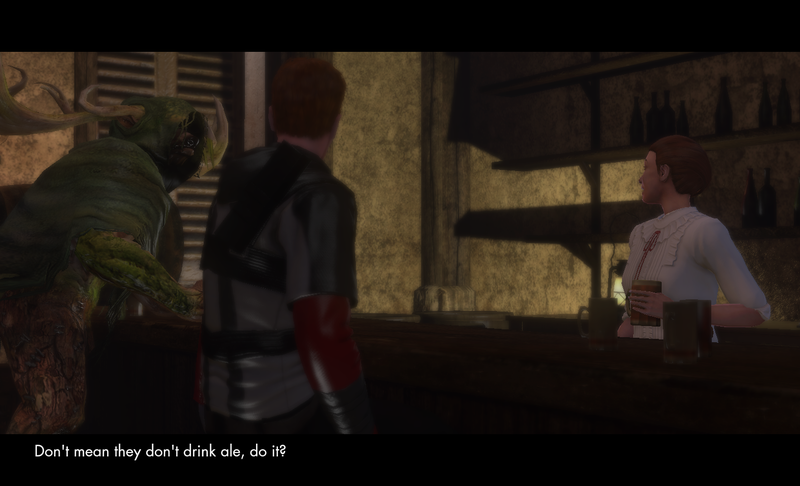 I still don’t think it was necessary — the challenge is part of TSW’s charm — but I suppose I can live with it. I do worry this will cut down on build diversity, since there doesn’t seem to be much need for ensuring your own survival anymore. Seems like it might become like other MMOs, where the ideal soloing build is just pure glass cannon, since there isn’t much chance of death and efficiency is all that matters. Only thing that really bothers me is that they downgraded most nightmare missions to normals. This has really gutted Transylvania from the endgamer’s perspective, and there are now much fewer options for repeatable solo content. On the item missions being marked on the map: It’s worth noting that some are still hidden, to preserve a sense of mystery and exploration. Though personally I just turn off showing them altogether; more fun that way. On Transylvania: Next to Solomon Island, it’s probably my second favourite region. It has a great sense of history and ambiance, and it has the most visual/environmental diversity of any region. My only complaint is that the main story mission is oddly paced, with most of its time and content devoted to what I would consider set-up and very little attention given to the villain or the main conflict. But definitely more fun than Egypt, IMO. In what other game can you watch a drunken Cernunnos sweet-talk Romanian barmaids?